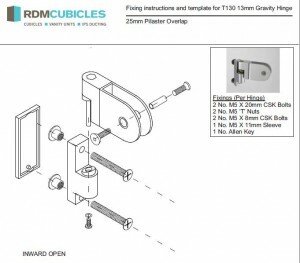 There are many ranges of toilet cubicle fittings and hardware available for standard cubicle systems . 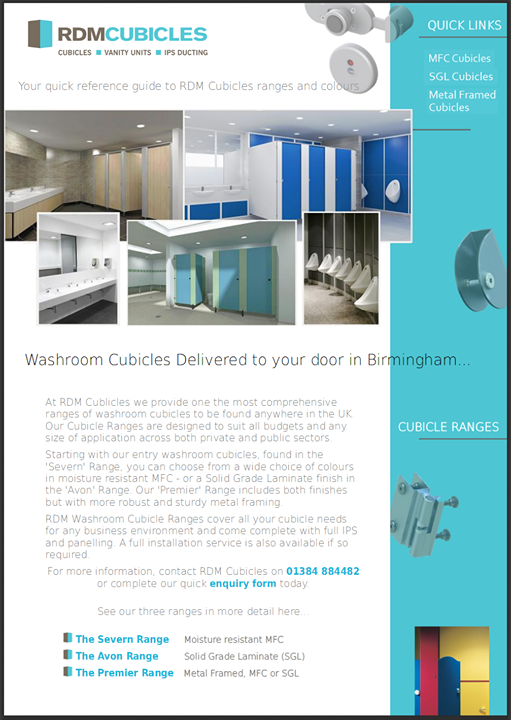 At RDM cubicles, however, we only stock the highest quality toilet cubicle ironmongery to finish our bespoke cubicle ranges; and all supplied at both affordable and competitive prices. To view our range of toilet cubicle hardware, including full installation guide for each fitting, please see our Hardware and Installation Guide pages.